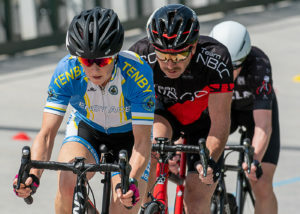 Saturday 23rd June saw more than 70 people descend upon the velodrome track at Carmarthen Park for the inaugural Cyclone12 event which saw riders from Pembrokeshire based NB Cycle Coaching sweep up! 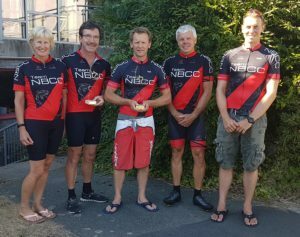 Held at the recently refurbished Carmarthen Velodrome, the 4 person team endurance challenge quickly turned into a huge overall win for NBCC, who took the top spots in both Male Team and Mixed Team categories. The UK’s only velodrome endurance cycling event series, Cyclone24, is a series of 24 hour indoor velodrome and 12 hour outdoor velodrome challenges, which take place across the UK’s velodromes including the Homes of Welsh Cycling and Team GB, at the Wales National Velodrome and the HSBC National Cycling Centre in Manchester along with the East Midlands hub, Derby Arena. Cyclone24 Deuddeg Awr (12 Hour) at Carmarthen Velodrome was the first outdoor event to be held in the event series and looks set to continue with the 2019 date already confirmed. Competing in teams of four, riders had the opportunity to team up with friends, colleagues or club mates to see who could complete the most laps of the 405 metre track as the 12 hour clock counted down. 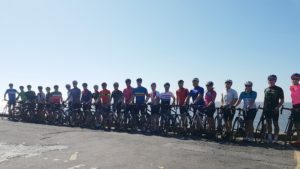 19 teams from across Wales and the South West took part, collectively covering 23,351 laps in total, an astounding 5,856 miles; the equivalent of cycling further than Carmarthen to Beijing. 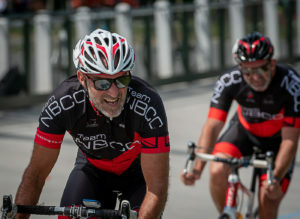 The NBCC team finished first overall for the most laps, with a total of 1385 laps. They also took the trophies for male team champions and mixed team champions, with the team from Tenby Aces Cycling Club taking the crown for the all ladies team. Zoe Westerman, Director of Cyclone24 said: “Our events attract all abilities; social cyclists, those new to cycling, those more experienced and cycling clubs. Each venue offers a unique challenge, giving something new to set training goals for. We’ve received some wonderful support for our inaugural event at Carmarthen, the weather was amazing and everyone really enjoyed the day. Many thanks to all of our event supporters; Fori, Operation Fitness, The Thirsty Elephant, the team at Carmarthen Council and our sponsor Stills Branding”.